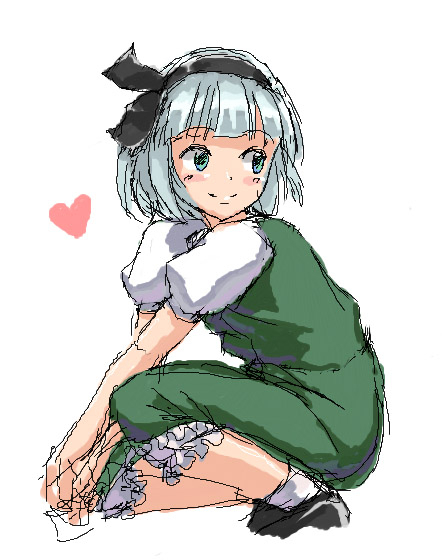 Everyone in the room was drawing Youmu. 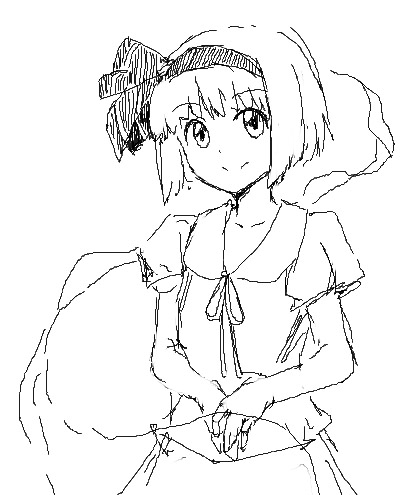 ルームのみんなが妖夢を描いてました. 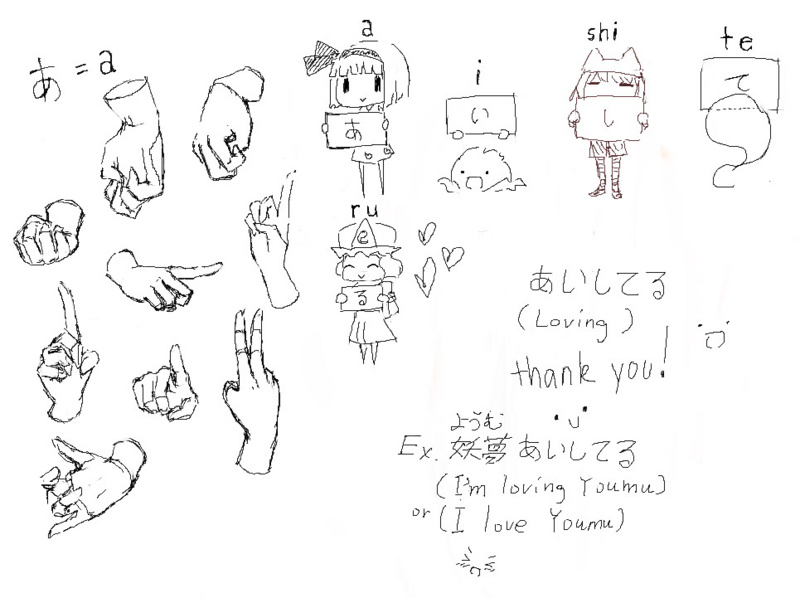 Some hand studies in preparation for tomorrow's session. 明日の練習のための手デッサン. Learning Hiragana with れたす and Ｋロスト　ひらがな習うタイム. 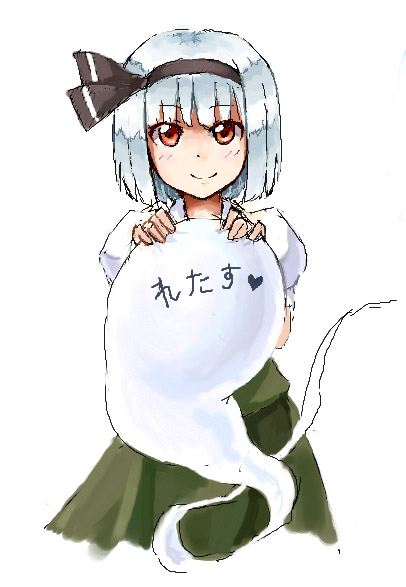 I started out just writing "あ", and drew Youmu holding a sign with the character written on it. They joined in, adding their own signs to write "あいしてる" (I love you).